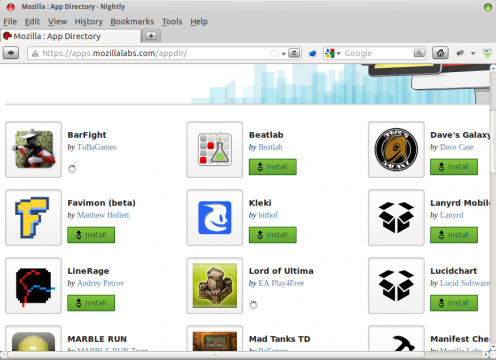 Mozilla Web Apps now available for Firefox 16 on Ubuntu Linux. This is not yet usable for stable Linux firefox version. 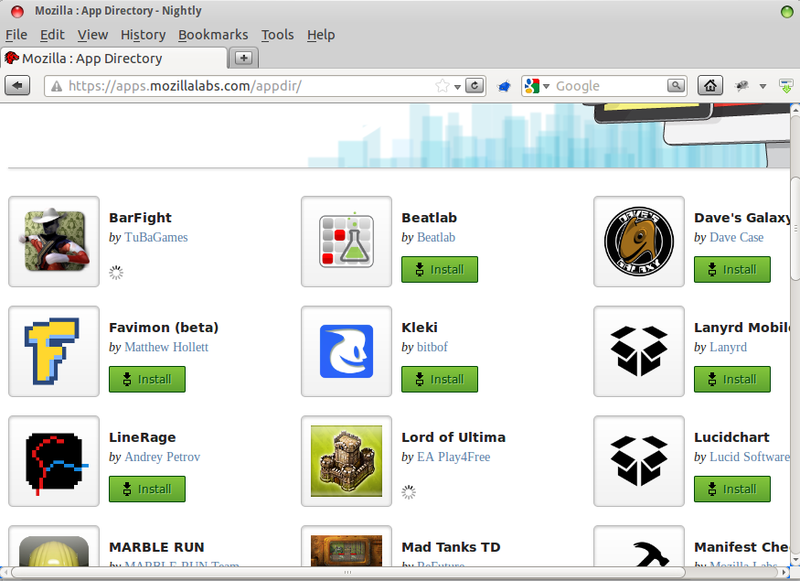 Linux user need Firefox 16 Nightly to navigate to: https://apps.mozillalabs.com/appdir/. Use ‘Install’ button installing web apps and launch them from the Dash. No user responded in " Mozilla Web Apps Available on Firefox for Ubuntu Linux "